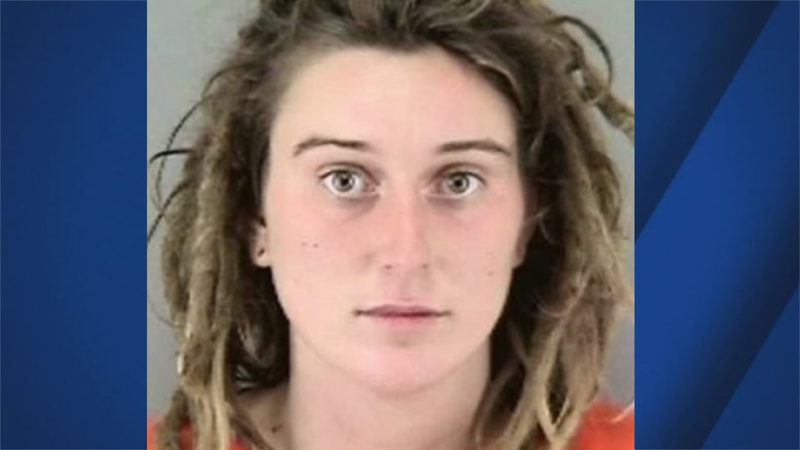 SAN FRANCISCO -- A San Francisco woman was arrested Monday in connection with assaulting a police officer with a skateboard. Vera Rideout, 21, was arrested on suspicion of assault with a deadly weapon, threats against an officer and possession of a controlled substance, police said. On Monday at 5:46 p.m., a San Francisco Police Department officer was riding a bicycle at the intersection of Fifth and Mission streets when he was assaulted with a skateboard, police said. Police said the suspect, identified as Rideout, was riding her skateboard when she approached the officer from behind and hit the officer in the back of the head with the skateboard. The officer was knocked off balance but did not fall to the ground, police said. The officer dismounted his bicycle and apprehended Rideout. Rideout challenged him to a fight as he took her into custody, police said. The officer was on-duty and in full uniform, and he was wearing a helmet during the assault, police said.